Paperback, 288 pages, 12.5 x 18.3 cm, 4.9 x 7.2 in. 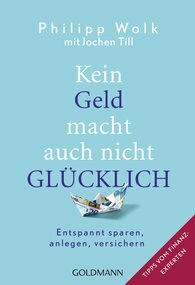 Philipp Wolk knows how to increase his money, and he wants to share his knowledge. He tells his hair stylist what insurance she needs, his sister-in-law how to invest her savings in the medium term, and his football buddy whether it’s worth investing in real estate. So that not only his own social contacts, but also a great many people can benefit from his knowledge, he has written down these quite instructive stories, which will entertain readers while helping them learn how to get their finances in order.